Babies will love to watch the RC toy moving around on its own, and when they become mobile they will Enjoy chasing it and follow it too. Toddlers will love to operate a simple RC toy by themselves, and they can practice many key skills by doing so. For older children, RC toys can be a great source of enjoyment, and they are a great way to socialize with others. 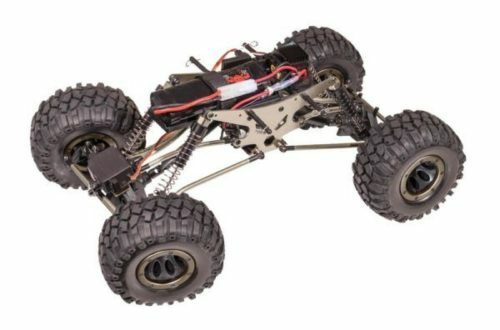 There are variety of RC toys which need to be built, or partially built prior to use. Building a toy together is a great way for parents and children to spend quality time together. Some need to be painted or decorated, and others can be customized to suit your child’s tastes. Doing a task like this is great for children to practice their artistic and engineering skills. Using a RC vehicles is great for your child to start teaching themselves about mathematics and physics without even realizing it. If they have a more complicated toy like a helicopter or airplane, the benefits are even greater. These toys take more skill to learn to use well, and children will feel very proud when they are showing off their new tricks to their friends and parents! Mostly suited to older kids, quadcopters can be a great edition to their RC collection. Being able to fly can have its advantages over wheels. Most Kids drones are strong and safe to use around others as they are only small and come equipped with propeller guards. If the child has an interest in photography then get a drone with a camera and on board memory, you can find very in-expensive camera drones for sale these days. Small quadcopters with prop guards can be used inside with caution and also outside, Be mindful of outdoor wind conditions as they are very light and might not go where they have been directed by the remote control. Radio controlled toys are great for getting kids playing outdoors, and interacting with other children. Although some toys can be used indoors, many are best used in large open spaces. This is especially true of planes and boats. Remote controlled boats can be great to take along for a family day out at a river or lake. Taking your child out to experiment with their new toy is a perfect way to spend quality time together – take along a picnic and you will be sure to have a great day. It’s also possible to find exciting new places to hang out through the use of an RC toy. You’ll find new parks, fields and lagoons to explore when searching for the perfect place to race your new toy.